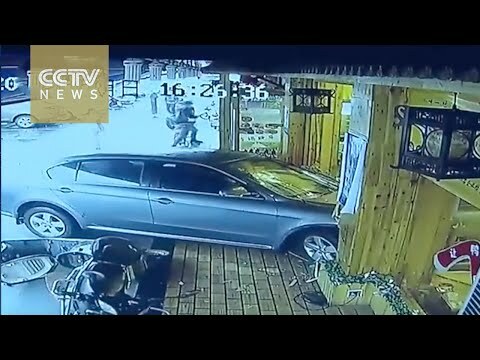 A restaurant in Songjiang District of Shanghai was heavily damaged on May 15 after a car suddenly accelerated through its front window, injuring four customers and leaving one of them in critical condition. The police said the female driver mistook the gas pedal for the brake when she attempted to stop her car in front of the restaurant. An investigation into the incident is ongoing.